The entrance was around the corner at 2728 8th Ave., and Jack Sobel Co., pawnbrokers, were located here from 1922 to 1943. An earlier address (1912 to 1921) was 2716 8th Ave. a few doors further downtown in the same block. The Directory of Directors in the City of New York, 1915-16, listed the following as either members or directors at Jack Sobel Co.: Shear, Joseph L., 2716 Eighth Ave.; Sobel, Henry, 822 Columbus Ave.; Sobel, Jacob, Jack Sobel & Co., 2716 Eighth Ave., Pres., Treas. and Dir. ; and Sobel, Joseph, 822 Columbus Ave.
Jack Sobel was Jacob Sobel (1871-1942), and he was a member of a prolific family of pawnbrokers in New York City, starting with his father, Semel (Samuel) Sobel. Samuel Sobel (1834-1918) is found in the 1880 U. S. Census living in Erie, Pennsylvania. The census recorded him as Semel Sobel, age 46, born Posen, Poland. He lived with his wife and eight children, including Henry, age 15, Jacob 9, and Joseph 6. Twenty years later, in 1900, Samuel Sobel lived on East 58th Street, New York City. He was 65 years old, born 1834, and of the eight children, only Jacob, age 29, and Joseph, 25, still lived with him. Semel Sobel was listed in Erie, Pennsylvania, city directories from 1878 to 1885 as a dry goods merchant. Then beginning in 1888 Samuel Sobel and his wife, Cecilia Kuntz Sobel (1836-1904), were listed in the Trow New York City Directory. In 1888 Cecilia Sobel was identified as "pawnbroker, 110 First av." In 1892 both Samuel and Cecilia Sobel were listed as pawnbrokers at 114 1st Avenue. Semel Sobel died 9 August 1918 in New York City. Henry Sobel (1864-1944), Jacob Sobel's older brother, appears as a pawnbroker in New York beginning in 1897. Around the same time Joseph Sobel (1874-1959), Jacob Sobel's younger brother, appears as a lawyer. Henry and Joseph Sobel later formed Sobel Brothers, pawnbrokers, at 822 Columbus Ave. (approx. 100th Street), who were in business at that location from 1906 to 1940. Another member of the Sobel pawnbroker family was Ida Sobel, a sister of Jacob, Joseph and Henry. She married David Shear, and became Ida E. Shear (1862-1937). In the 1880 U. S. Census she was Semel Sobel's daughter, age 17, born New York. She appears as a pawnbroker, along with her son, Joseph Mortimer Shear (1881-1957), at 2714 8th Avenue in city directories starting in 1913. This was Jack Sobel's location from 1912 to 1921. 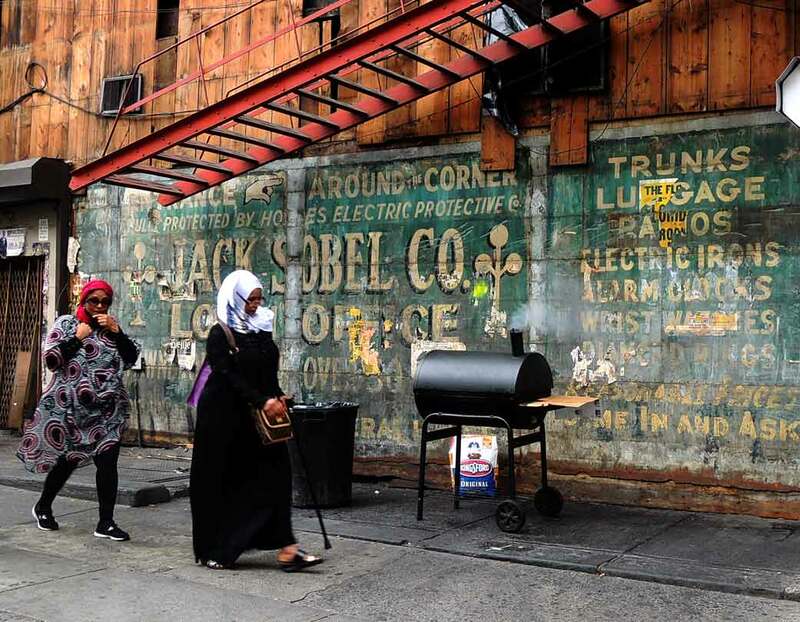 Jack Sobel Co. were put out of business by the Harlem Riot of 1943, when violent disturbances led to five deaths, 400 wounded or injured, and hundreds of stores and shops wrecked and looted. According to the New York Times, 3 August 1943, pg. 10, "It was learned that the largest single claim was likely to be that of the Jack Sobel Pawn Shop, 145th street and Eighth Avenue, which was looted, wrecked and set on fire. The place was insured for $105,000 with riot coverage included, according to an authoritative source." This ad for Jack Sobel Co. appeared in the Amsterdam News, 2 March 1935. A later ad for Jack Sobel Co. appeared in 1940.